Noriko was awarded a Fellowship of the Guildhall School of Music & Drama by the Lord Mayor of London at the Great Hall, Guildhall on Friday 3 November (see photos). 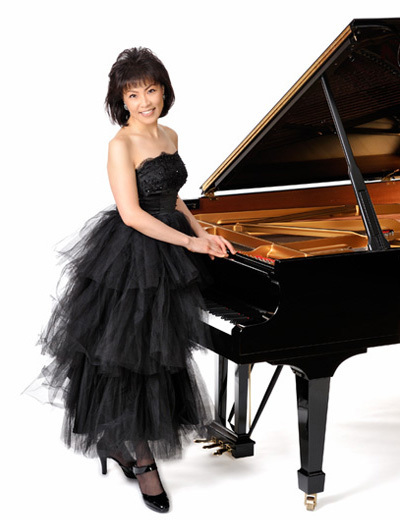 Read reviews of Noriko’s performance of Prokofiev Piano Concerto No. 3 in C, Op. 26 in Seen and Heard International and Wales Online. Read Alfred Hickling’s review for the Guardian of the series finale, in which Noriko appeared alongside pianists Martin Roscoe, Kathryn Stott and Peter Donohoe. Noriko is an internationally respected pianist, recording artist, presenter, educator and artistic adviser to MUZA Kawasaki Symphony Hall. Noriko records exclusively for BIS Records, for whom her complete Debussy series has met with critical acclaim. Please note that this website uses Google Analytics, a web analytics service provided by Google, Inc. ("Google"), to help us to analyse how this website is used. Google Analytics uses "cookies", which are text files placed on your computer. The information generated by the cookie about your use of this website (including your IP address) will be transmitted to and stored by Google on servers in the United States. Google will use this information for the purpose of evaluating your use of the website, compiling reports on website activity for website operators and providing other services relating to website activity and internet usage. Google may also transfer this information to third parties where required to do so by law, or where such third parties process the information on Google's behalf. Google will not associate your IP address with any other data held by Google.